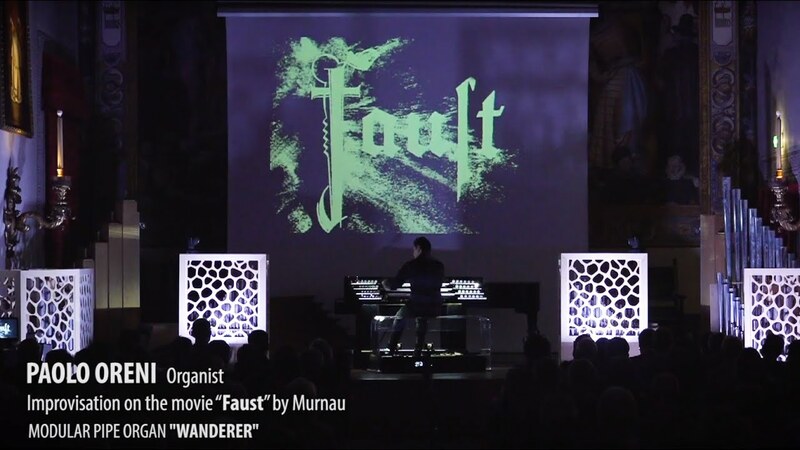 The Italian organist Paolo Oreni who I had mentioned a few months back in a thread I posted about anywhere organs recently accompanied a silent film using his portable pipe organ which is kind of unique to see done in the classical organ world. The movie shown is a 1926 adaptation of the story of Faust which is probably better remembered from the opera adaptation by Charles Gounod. One thing I have to say is man both the film and Oreni's performance I find kind of gloomy, to the point that it makes silent film version of Phantom of the opera (which I unfortunately have only seen bits of) look like a Chaplin film. Last edited by Admin; 01-05-2019, 05:30 AM. The performance seemed off to me as well. I skimmed through it and had several thoughts about the performance being off, though. I observed a fair bit of using the whole tone and pentatonic scales. I observed liberal use of jazz chords vs. standard chords. I observed (maybe it was my laptop computer) a tremendous amount of treble in the recording, making it sound strident most of the time. (re-typing missing part of post)I observed little dynamic control other than changing of stops, but that could be because the pipes were unenclosed. What I heard used straight pipe tone, and I missed a theatre vibrato which might have mitigated some of the high pitches. I've forgotten the rest of what I posted, but it boiled down to basic differences between theatre organs and straight classical pipe organs. However, I'm open to a new way of accompanying silent film and seeing if it works. Last edited by myorgan; 01-05-2019, 06:12 AM. Reason: Re-type half of post deleted when posted. Yes, I was not expecting anyone to actually watch the performance from start to finish.